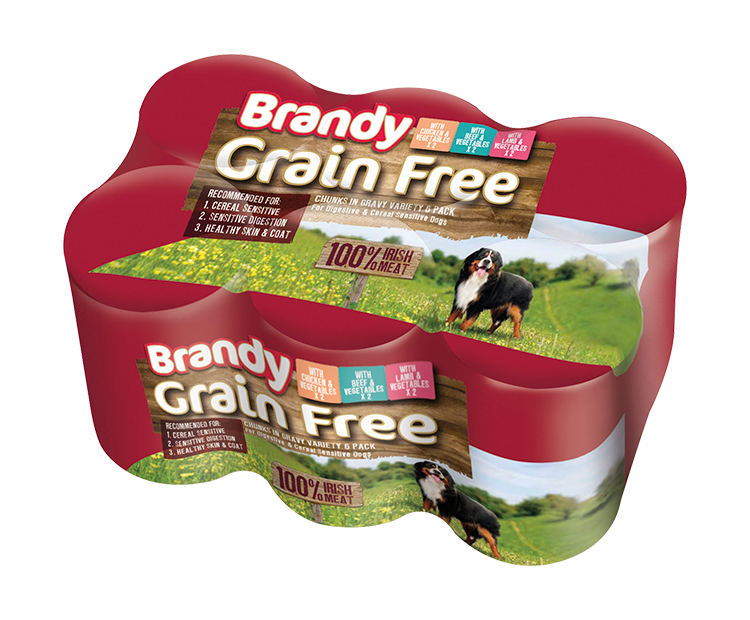 We have developed Brandy Grain Free for digestive and cereal sensitive dogs to help promote easier digestion, improve their skin and coat and reduce itching. Chicken & Vegetables in Gravy: Meat and Animal Derivatives (minimum 41% including minimum 4% Chicken), Vegetables Minimum 4%, Derivatives of Vegetable Origin, Minerals, Various Sugars. Beef & Vegetables in Gravy: Meat and Animal Derivatives (minimum 41% including minimum 4% Beef), Vegetables Minimum 4%, Derivatives of Vegetable Origin, Minerals, Various Sugars. Lamb and Vegetables in Gravy: Meat and Animal Derivatives (minimum 41% including minimum 4% Lamb), Vegetables Minimum 4%, Derivatives of Vegetable Origin, Minerals, Various Sugars. Vitamin A 3750IU/kg, Vitamin D3 380 IU/kg, Vitamin E 5.63mg/kg, Zinc Sulphate Monohydrate 107mg/kg, Manganese Sulphate 11.71mg/kg, Sodium Selenite 0.82mg/kg, Calcium Iodate 0.6mg/kg. 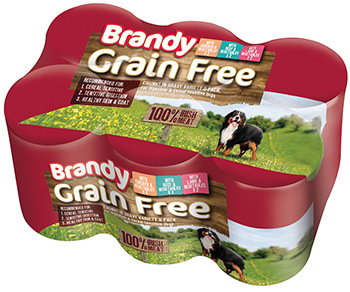 Protein 8.7%, Fat 6.4%, Inorganic Matter 3%, Crude Fibre 0.3%, Moisture 80%.